When you’ve lived in NOLA your entire life, it’s easy to become a bit jaded or blase about the sites at Mardi Gras. Floats? We’re impressed when they get bigger and better and the addition of LED lighting to the night parades is now expected rather than being the novelty it was a few years ago. Beads? No longer content with a long strand, we want giant, honking big beads that blink. We are much more inclined to get excited about a clever addition to the line-ups than about a new throw (think 610 Stompers, my favorite marching group). 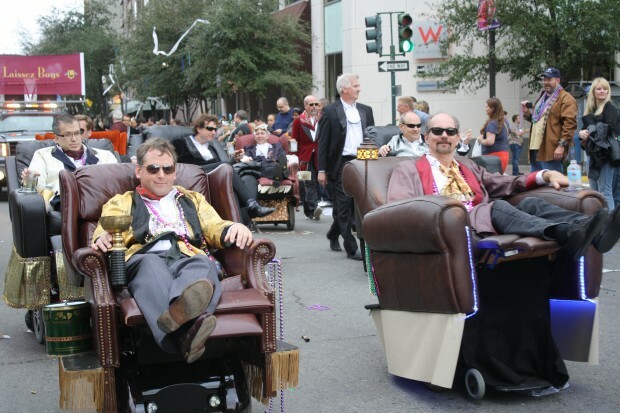 So, as we were watching the Krewe of Tucks and saw a group of nattily attired gentleman sipping cocktails while rolling down the street in motorized recliners, it really caught the attention of everyone around us, locals and tourists alike. 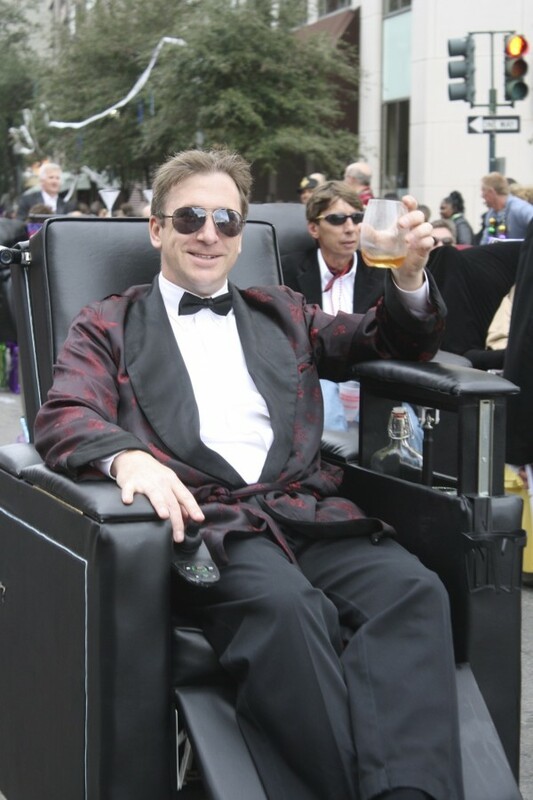 With background music from famous crooners and lounge acts, the smoking jackets, the pop-up bars…it was fabulous! Imaginative, clever, innovative and flat out the best thing I saw all weekend.